Carolyn, I have recently been converting my home to a gluten free home. I know that a diet without the gluten is good for my son; however I don't want to harm him because he is not getting a certain type of food / nutrient that he needs to be healthy. 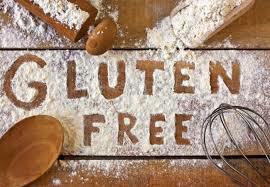 What is your opinion on the gluten free diet and can you be a gluten free home and be healthy at the same time? Congratulations! Your gluten free home will be healthier than 95% of others because you are focusing on the health of your son and of your family. As you transition and research the subject, you’ll know more and more, and will make choices that will pay big dividends for your household. Being careful for your son’s sake you’ll seek high quality foods, you’ll be the one in the aisle reading labels, you’ll be cooking and baking goodies at home. Maybe you’ll even enlist like-minded friends with whom to share ideas, recipes or even cooking chores, shopping trips and more, as you seek to create healthier lifestyles and homes. Thanks for a great question. I believe that in focusing on health, you’ll always find the right answers for your family. Creating a gluten free home will only add to a healthier lifestyle as you add lots of vitamin rich fresh veggies and fruits to your dietary program. Nearly all the nutrients in ‘fortified’ products are added back after stripping away the natural nutrients in the process of creating shelf stable products. These ‘replacements’ are almost always inferior grades of mostly lab created ‘replicas’, added for the sake of marketing. Natural nutrients would spoil, therefore, shortening the shelf life of products. Even the “impossible to get without meat” B complex vitamins are easily obtained in dark green vegetables, potatoes, beans, nuts, legumes, bananas, and B-12 from the sea veggies. The best D vitamins you’ll get in just 10 minutes, twice a week, enjoying the sunshine on your skin, and from avocados. Seek out a high quality multi vitamin for your little one, if you are concerned that he’ll not get enough from meals. A gluten free diet will add lots of fiber to your daily intake as well, and provide for better digestion and easy assimilation of nutrients. Here is the story of gluten. A recent survey shows that more than one third of Americans are trying to eliminate gluten from the diet, and with good reason. Gluten consists of protein composites found in several types of grains, including wheat, spelt, rye and barley. Gluten is now problematic for so many people, GMO products (especially - in this case wheat) changes how the body is able to handle foods, in the gut. Many types of bread also contain artificial ingredients including brown coloring (caramel), and cellulose (What? wood fiber?) to give the appearance of a healthier whole-grain, high-fiber bread. Reasons to avoid gluten are many and include strong associations to celiac disease and various autoimmune diseases, including Hashimotos Thyroiditis, Type 1 Diabetes, Multiple sclerosis, Irritable bowel disease, certain brain changes, autism, and more. Mixing flour and water activates the gluten (glue) which creates sticky cross-linked protein networks, giving dough the elastic properties for bread to rise in baking. When gluten reaches the gut of persons with a high sensitivity to gluten as in celiacs’, the immune system sees this gluten as an invader, and sets out to fight it. Therefore, celiacs’ disease is classified as an autoimmune disease. This immune response can cause degeneration of the intestinal wall, leading to major nutrient deficiencies, anemia, fatigue, various digestive issues, failure to thrive, and the increased risk of many serious problems. Some, without definitive symptoms – making accurate diagnosis nearly impossible. Lesser sensitivity to gluten is more common, and may show up as vague symptoms such as bloating, fatigue, chronic pain in the joints or bones, and diarrhea. Gluten can cause inflammation in the intestine, leading to degradation of the intestinal lining is problematic because then unwanted substances begin to “leak” through this barrier into the bloodstream, contaminating and fueling inflammation throughout the body, and crossing the blood brain barrier. Many studies show that patients with irritable bowel syndrome (IBS) are sensitive to gluten, too. Even some cases of neurological illness may be caused by, or made worse, by ingesting gluten. Crossing the blood/brain barrier causing serious disease that involves ones’ inability to maintain balance, to walk independently, and may create problems speaking or understanding. Brain disorders that responds positively to gluten-free eating include schizophrenia, autism, and epilepsy. Certain neurological problems of undetermined cause, many times have responded favorably to a gluten free eating plan. Wheat gluten in many persons is addictive. Think about cravings for breads, cookies, pastries, cakes, pasta, and donuts. Because gluten can cross the blood brain barrier, some scientists believe that exorphins (exogenous morphine-like substances, generally present in the diet) can excite certain brain cells, causing addiction. So, if anything here sounds oddly familiar to you, you may want to do an easy test to determine if indeed, you are sensitive to gluten. Easy. Eliminate gluten from your eating program for thirty days to see. This is a great time to start a food journal. Every day, what did you eat?, How do you feel?, Who did you eat with and how did you feel two hours after the meal? And, how did you sleep? The only true way to know if you should be avoiding gluten is to remove it from your diet, then reintroduce small amounts at a time, over time, to see if you get symptoms returning. Then, you can evaluate your personal reaction. Keeping the journal will certainly be critical to your success. Read every label and avoid all gluten. Gluten is also found in many imitation meats, ice creams, ketchups, and beers, so it is important to check every label, and to ask when eating out. Following this process, in 30 days you’ll know more about your eating habits and about foods, than you ever did before. No one food holds the key to health, so by not eating gluten, you will not be missing anything important. All nutrients play an important role in nourishing the body. Offer and encourage your family to eat a wide variety of clean, in-season, locally grown foods. Put in the time to do some home baking and revel in the life of health you create in your household. Having a healthy gluten free home will be easier than you think after you get it rolling, and you will all be better for it.